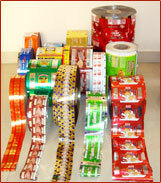 N.B Polyfilms is a premier Flexible Packaging converter, based in Hyderabad. Founded in 2003 by a team of top-notch professionals with sound expertise in flexible, printed and laminated products like single and multiple layer films, pouches, rolls, etc, N.B Polyfilms caters to a wide spectrum of industries, i.e., Tea, Snacks, Spices. Pesticides, Health and Body Care Detergents, Biscuits, Confectionary and vegetables oil films etc. N.B Polyfilms specializes in a host of packaging and laminate products like Printed Packaging, Food Packaging, Pharma Packaging, Sea Food Packaging, Retort Packaging, Vacuum Packaging, Aluminium Foil Laminates, Flexible Laminates and Barrier Laminates. At N.B Polyfilms, we are focused on building a world class company with facilities encompassing various materials, technologies, products and a dynamic team of people who can articulate the technologies, to provide packaging products of next generation. Our commitment to maintaining product quality of the highest standards, cost-effective packaging solutions, timely delivery schedules, customer focused after-sales service and complete customer satisfaction, has enabled us to build an extensive customer base in a shorter span of time. Rotoflex Rotogravure printing presses (including “Auto Registration control system & Web video”). Multi layer machine (Windsor make). N.B Polyfilms has two state of the art rotogravure printing machine. Each machine is equipped with the state of art digital AC drives and auto registration control system and web video inspection system. N.B Polyfilms has 2 Numbers dry lamination machine, giving us the capability to produce high quality 2 poly laminates and 3 poly laminates as per customer specifications. N.B Polyfilms has sufficient slitting and bag making capacity to fulfill customer's requirements. We produce all types of pouches like side and centre seal pouch, zipper pouch and stand up pouch etc. Dedicated team of technicians and professionals. Personalized attention towards our client's need. One of our major strengths lies in developing different laminates of different structures to get the required barrier properties and to provide economical alternatives to existing flexible packaging, thereby enabling their customers to reduce costs. As we focus ahead, we reaffirm our commitment to, maintaining product quality of the highest standards, cost-effective packaging solutions, timely delivery schedules, customer focused after-sales service and complete customer satisfaction. To become a market leader in flexible packaging solutions, provide impetus to packaging development through suitable packaging solutions and produce zero defect goods through stringent quality standards. To obtain maximum customer satisfaction, by providing technically suitable products at the most competitive prices with committed schedules. After establishing ourselves as a leading packaging company, we ventured into overseas markets. Today, we export our world class flexible packaging material to South-East Asia, Gulf and a few African countries. In line with our export aspirations, we look forward to establishing and sustaining long-term relationships with interested business parties in overseas markets.